Seamless office overview at a glance. Effortless wayfinding. 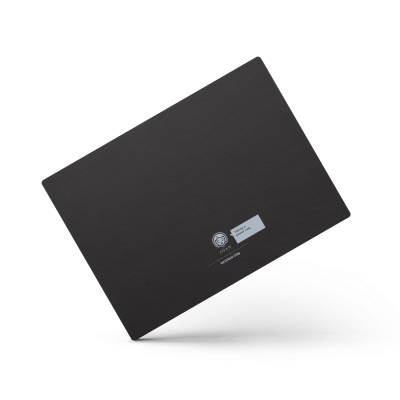 Show key meeting information and the availability of up to 9 meeting rooms on a single, elegant 13-inch display. Zero installation costs, no wires and up to 12 months of battery autonomy. Free express shipping on all orders. We ship worldwide within 3–5 business days after receiving payment. Additional customs fees may apply for shipment to countries outside the EU. Hosting: In-cloud (+14,99 EUR/month) or On-premise (no additional costs) Payments: Visa®, MasterCard®, American Express®, and PayPal. For direct bank transfers please contact our Sales Team. Includes a standard 1-year warranty. We know you’ll love Joan as much as we do. In fact, if for any reason you’re not completely satisfied, just return your device within 30 days and we’ll issue a full refund. Organize and reserve your meeting spaces. Find the room you're looking for. The best display choice for lobbies and common areas. 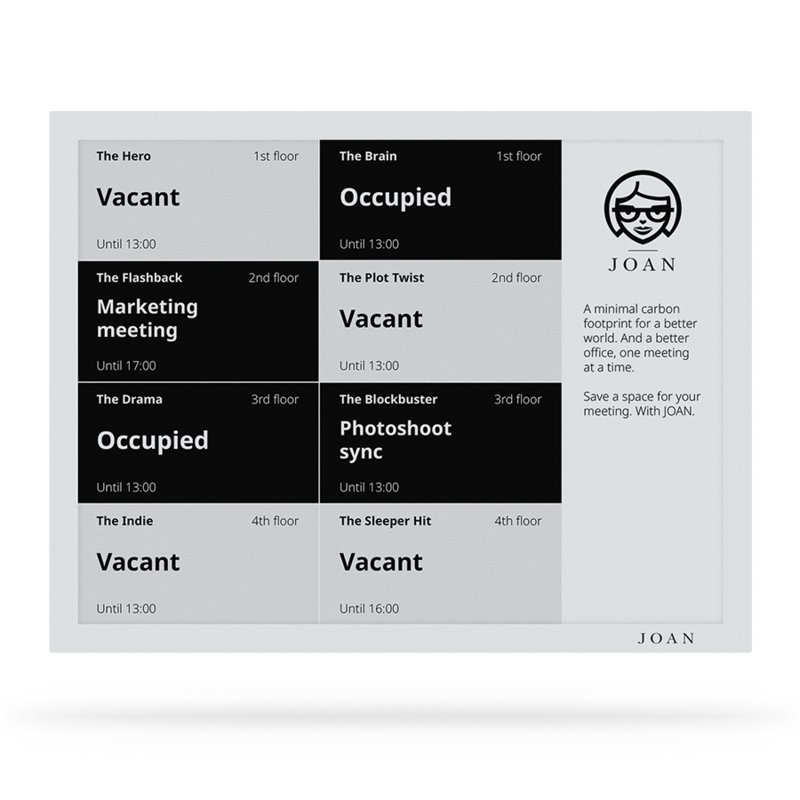 Joan Board gives you an overview of up to 9 rooms connected to your calendar. "Joan is an excellent solution for any company that's looking for transparent and effective assistance in organizing meetings." 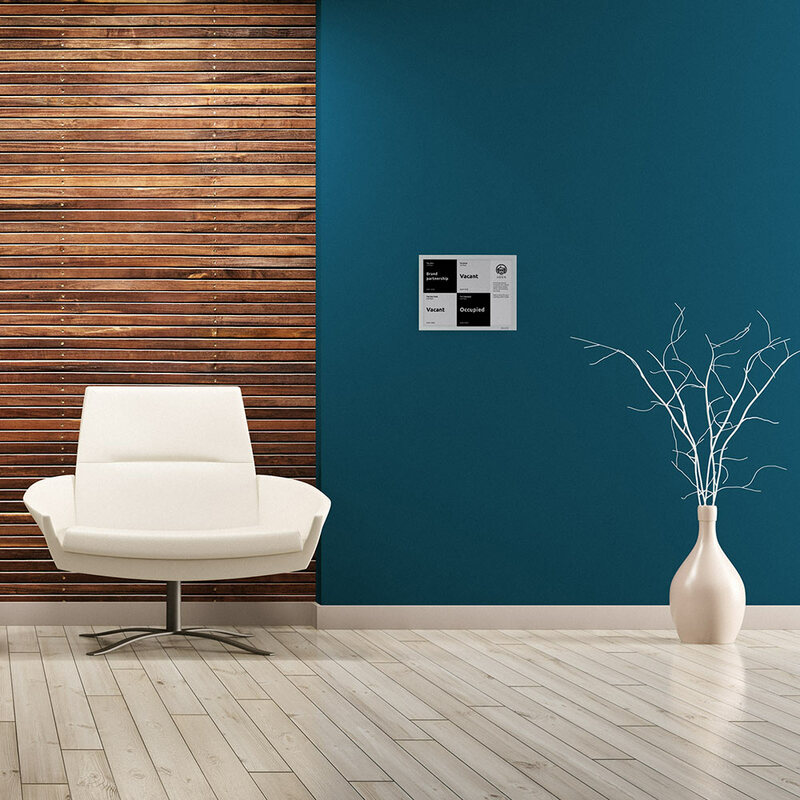 The only battery-powered room scheduler out there. With months of battery life on a single charge and zero cables. Yes, you heard right – zero cables. Connect Joan to your existing Wi-Fi and company calendar in a few clicks, and bam, you're done. 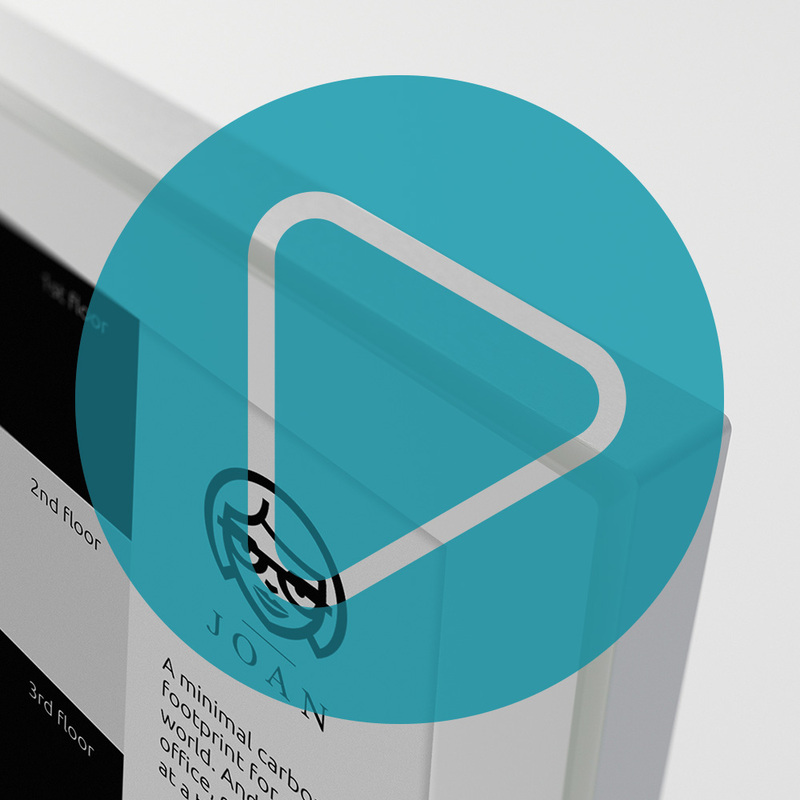 Joan easily integrates with Google Suite, Office 365, Microsoft Exchange and iCalendar. 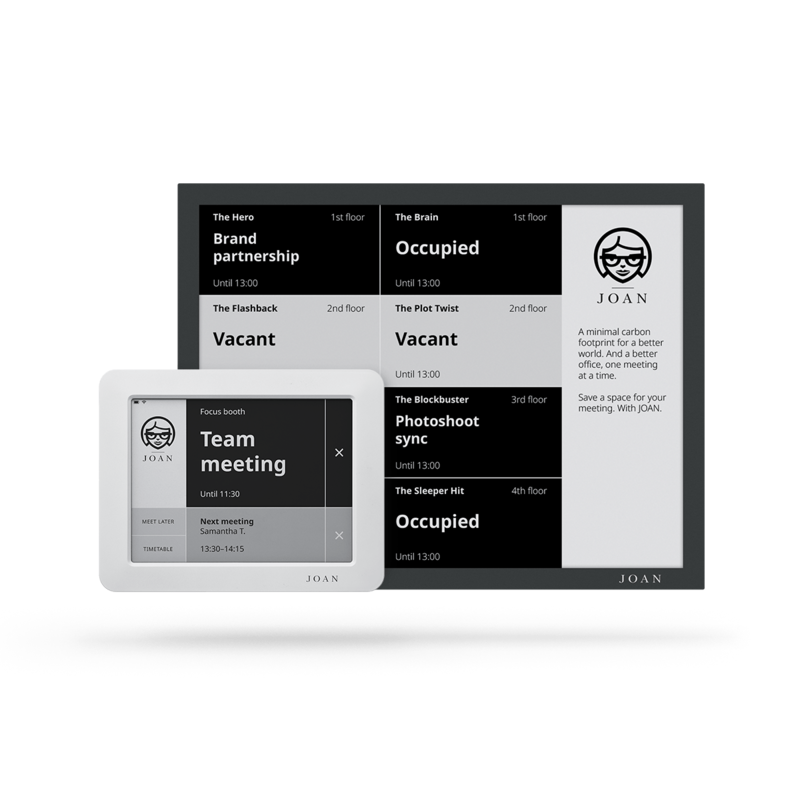 Schedule your meetings like you always have – in your company calendar – and Joan will show the real-time schedule of your meeting rooms. Prevent double bookings. Create happier meetings. Joan Board gives you an overview of up to 9 rooms connected to your calendar. 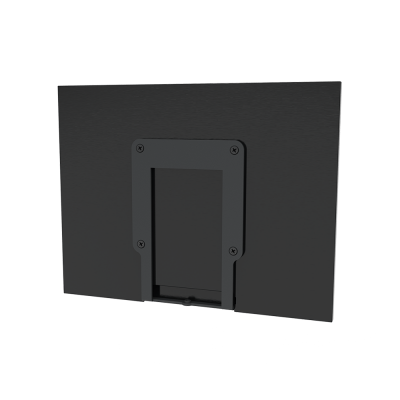 It's best suited for lobbies or other common areas in need of a real-time room occupancy board. 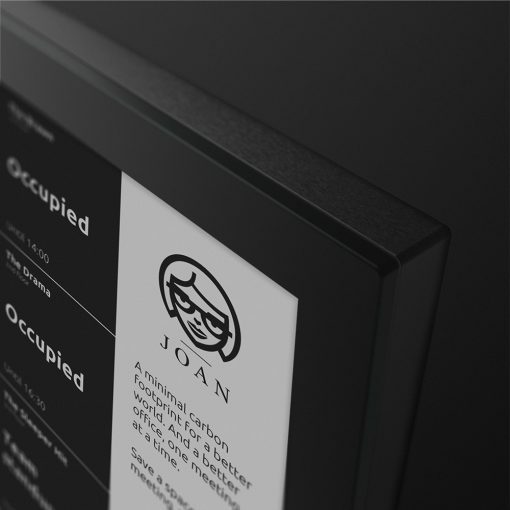 Replace Joan’s regular interface with custom content. Set your devices to display personalized text and images at a specific time. Don't interrupt your work in Slack. 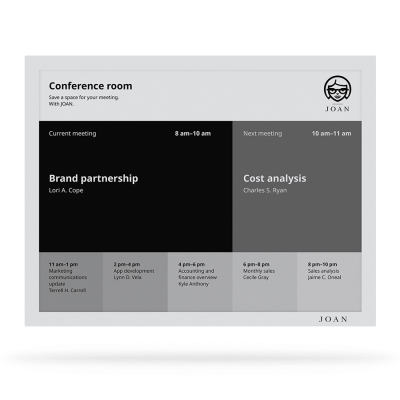 Send a message to Joanbot instead and let Joan schedule your meetings in the room of your choice. Book and manage meeting rooms from your phone. Find and book available rooms or delete any canceled meetings on the go. Adjust device settings and check battery status. Make informed decisions with Joan's Room Analytics. Reduce real estate costs and enhance productivity. Exchange, G Suite, Office 365, iCalendar. Full capacitive touch screen interface. Only 1% of power used by the screen. Easily attachable to any surface without cables. Securely connects to your WiFi network. 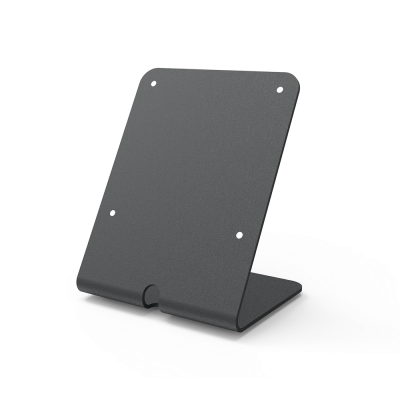 Built with an anti-glare hard-coated front-surface. Up to 12 months of autonomy on a single charge. 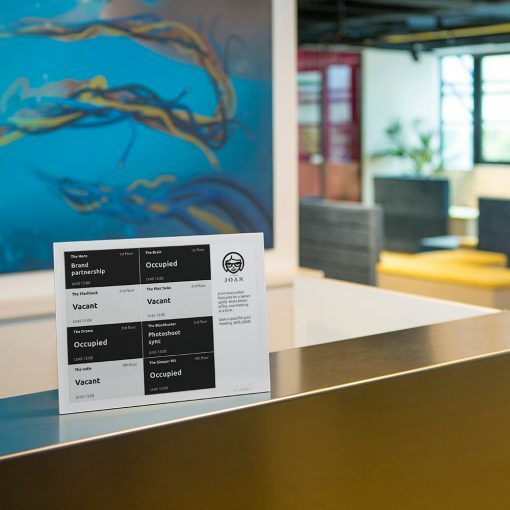 Key meeting information: Immediately see key meeting information such as room name and location, meeting name and time, and room status indicated in black (in use) or white (vacant). Branding and customization: Reflect your brand and customize Joan with your logo and a custom message that greets your guests and shows your company culture. Joan’s Room Analytics: Weekly meeting insights to help you improve the way you meet and work. With no. of meetings, meetings hours, room utilization rates, meeting no-shows, weekly meeting patterns. Warm Welcome email: Welcome your meeting guests before they arrive. Send instructions on how to reach the office, who to call, and add a personal message or include your company branding. Patented ultra-low energy architecture, only 1% of the power used by LCD. High-performance rechargeable Lithium-Polymer 10,000 mAh battery. Up to 12 months of autonomy on a single battery charge. 10 hours charging time with a Micro-USB charger (output rating of 5 V, 1 A). The most comprehensive overview of meetings taking place in a meeting room. See the meeting currently taking place, the next one coming up, and the five meetings that follow it. A 13-inch non-touch display created to quietly blend in. Zero installation costs, no wires and up to 12 months of battery autonomy.